The West Point Glee Club were in Chicago for this weekend's Veteran's Day ceremony. They staged a flash mob performance with the USO of Illinois inside the American Terminal. CHICAGO (WLS) -- There was a surprise performance Thursday at Chicago's O'Hare International Airport by a world-renowned group. 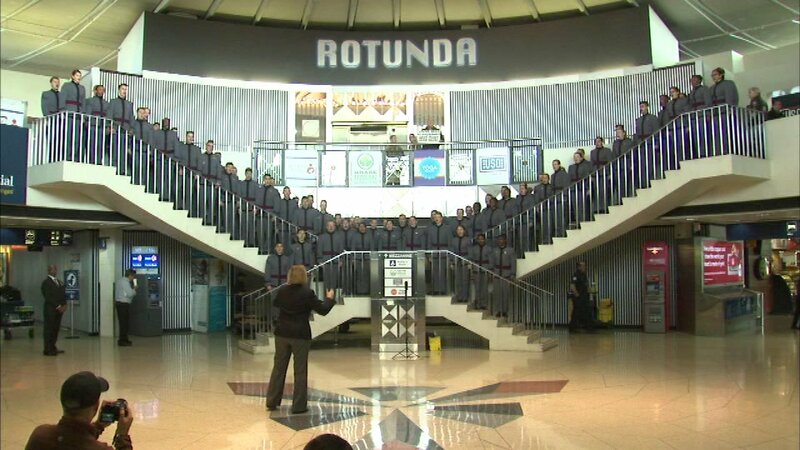 The West Point Glee Club were in Chicago for this weekend's Veterans Day Ceremony. They staged a flash mob performance with the USO of Illinois inside the American Terminal. The cadets serve the nation as commissioned officers in the U.S. Army when they graduate. The Veterans Day Ceremony takes place at Soldier Field on Saturday at 11 a.m.